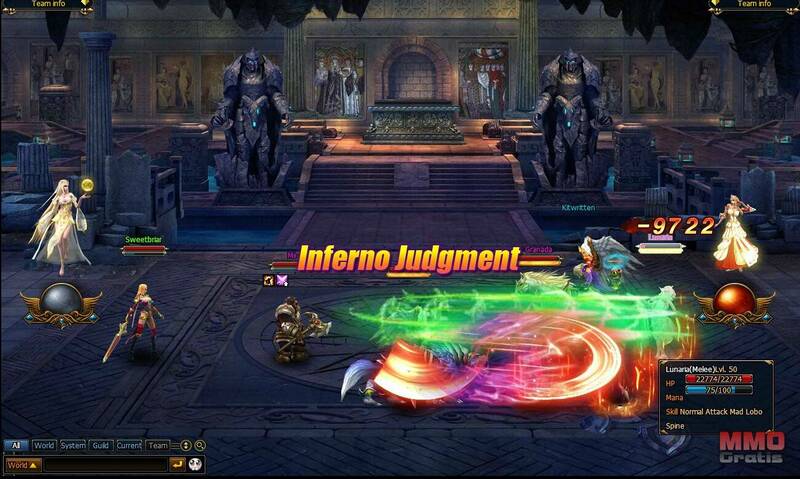 Play Shadowbound – new free online MMORPG! Shadowbound is a free to play game that features refined classic MMORPG systems mixed with fresh takes on fighting and skills that create a truly unique online game experience. It features tight combat mechanics, tough puzzle based dungeons, as well as a complex formation system for deploying your party. There are also systems that let you try certain content early, to help you build your character exactly the way you want to. Puzzle Dungeons | Take on tile-based challenges with multiple paths to victory. Companions | Form a team of NPC allies, level them up, and equip them for battle. Team Combat | Deploy your party strategically to counter your foes. Warplots, Arenas, and Battlegrounds | Fight in huge customizable 40v40 fights, ranked team-based arenas, or just mash it up with random players and opponents. Community | Join or create a guild and take part in epic PvP action. Don’t spend your money on one-click-hosts or multihosters! Upgrade NOW to Putdrive.com the combo solution absolutely WORTH EACH CENT!! If you love downloading don’t invest your hard earned money on Premium Accounts and/or multihosting services! Now you have a brand new combo solution that INVOLVES EVERYTHING a downloader could ever wish for!! AND gives you 100GB storage for free! Pretty awesome, right? Believe us: it’s an integrated service that just can’t be compared to anything else out there! It’s downloading reinvented, so DON’T STAY BEHIND! Putdrive.com downloads not only as Premium from Hosters, but also Torrents, Usenet & more. In fact Putdrive.com allows you to download files form 90+ file hosters, a huge number that beats even the best multihosters out there! But the putdrive.com advantages don’t stop here… Putdrive.com doesn’t only cooperate with a great amount of hosters it also lets the user download from Torrents and Usenet as well! This combo-downloading feature is truly revolutionary and you will not find it elsewhere!! 2. Putdrive stores everything in your cloud!! Putdrive.com stores the files you want to download to your cloud. This is extremely convenient because you can afterwards watch your downloaded files no matter where you are (e.g. at home, your office PC, your summer house Laptop, your tablet etc.). You can watch your files right from cloud and/ or download them to which ever device you want! And the benefits continue… Putdrive.com offers FOR FREE 100 GB Storage to all newly registered users. So for the same price – more or less- that you would pay in order to purchase a Premium account in a common multihoster service you get MORE HOSTERS, TORRENTS, CLOUD STORAGE CONVIENENCE AND 100 GB STORAGE FREE! Now, do we really need to add more to that? Ok… If we do, we can. Just add to all of the above that Putdrive.com guarantees you absolute anonymity, great speeds and full money guarantee and you have found yourself a service absolutely worth trying out! Get impressed. Get excited. Get you Putdrive.com account now!! Sumo Lounge, which has been innovating your living space and comfort spaces of your life is at it again, with the brand new, Omni Reloaded. this is something that is completely new to Sumo Lounge as well…we have added this foldable, portable, and amazing looking product to our line because you asked for something new. The Omni Reloaded is the definition of a lounging chair, you can put it in any scenery and it looks good, from the beach, living room to the forest while camping. Adjustable to any of your needs, when it comes to your back and in general your whole body. Omni Reloaded is the latest and most revolutionary product Sumo Lounge has ever produced. A logical evolution from our signature Omni beanbag, it features the same quality craftsmanship but designed for those who value comfort and versatility on the go. You can follow Sumolounge Blog, Facebook, Google+, Twitter and Youtube Channels for updates on the brand. Aimersoft is a professional software provider with 7 years experience. Before we have worked with Aimersoft for many times for Windows users , now they bring good news for Mac users. 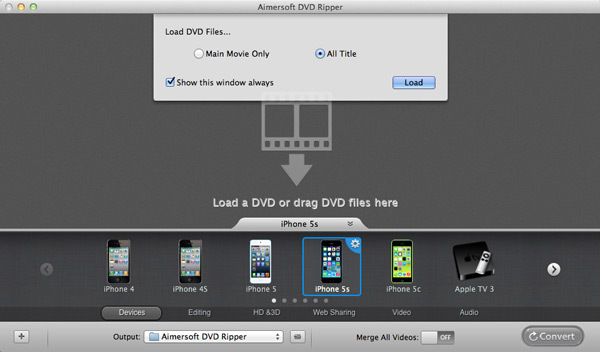 Aimersoft will hold a 24 hours giveaway for their strong dvd tool for mac users on 25th ,this giveaway is about the product Aimersoft DVD Ripper for Mac which original price is 39usd . The way to get licence is very easy and convenient .Just visit the giveaway page and enter your name and email, then it shows licences already send to your email. Go back to check your email, then you will find the licence code and software download link. Just click the url and get it free. Only available on 25th, please don’t miss this chance. In this new release the major addition is the mobile version of the Viewer for two platforms – Android and iOS. Now you can connect to your remote PCs with Remote Utilities Host installed from any mobile device including phones and tablets. Other improvements include the ability of the attended-only remote support module (Agent) to work with UAC prompts if run under an administrator account, some minor tweaks of the Viewer interface, and launching Windows native RDP client when RDP connection mode is launched in the Viewer. Remote Utilities is free for business and personal use on up to 10 remote PCs. To get your free license follow the “Register Free Edition” tutorial. The leading multimedia software solution developer and provider, Leawo Software, will launch a 2014 Spring Special Sales promo to offer free giveaway gifts and highly discounted bundles or single offers from Jan. 26th, 2014 to Feb. 12th, 2014. During the 2014 Spring Special Sales promo, Leawo iPod/iPad/iPhone Transfer would be given out as totally free giveaway gift, along with several up to 64% off special offers like Total Media Converter Ultimate, Blu-ray Copy, Video Converter Ultimate, Music Recorder and other 30% off single special offers. On Jan. 27th, Leawo will team up with Giveaway of the Day website to give out Leawo iTransfer as spring giveaway gift for totally free. People could get this iOS data transferring app either from Leawo’s Spring promo page or giveawayoftheday. Leawo iTransfer giveaway is one-day limited on Giveaway of the Day website, but available until Feb. 12th on Leawo’s promo page. Designed as a powerful iPad/iPod/iPhone transfer tool, Leawo iTransfer helps transfer data and files between iOS devices, iTunes and computer easily. It could transfer Music, Movies, TV shows, Podcasts, Ringtones, Pictures, Camera Roll (photos, screenshots, images saved, and videos taken), Apps, (PDF, ePub) Books, Playlists, Purchased items, etc. and save configuration documents from/to iOS devices, iTunes and computer. It supports all versions of iOS devices (iPad, iPod and iPhone) and iTunes for data transfer and backup. With an iOS data recovery app, like iPhone Data Recovery that could recover deleted or lost data and files from iPhone, iPad and iPod in clicks, you could never worry about data missing due to mistaken delete or iOS upgrade. On Leawo’s 2014 Spring promotion, Leawo provides special single offers and bundles for people to choose from. Leawo Total Media Converter Ultimate and Leawo Blu-ray Copy are available with 40% off and 33% off for separate purchasing, only $59.97 and $29.67 now respectively. But when bundled, these tool apps delivers 50% off ($72.45 now, while the original cost is $144.9). Leawo Video Converter Ultimate and Leawo Music Recorder are also available at low cost in the same way with even bigger price cut. Separately, Leawo Video Converter Ultimate is 60% off ($19.98 now) and Leawo Music Recorder is 50% off (only $9.99). When bundled, they deliver up to 64% off, at only $25. Besides the Leawo iTransfer giveaway and the up to 64% off special sales in bundles/single offers, still, some other 30% off special offers are available during the promotion period, including Blu-ray Ripper, Blu-ray Creator, PPT2Video Converter and Tunes Cleaner. Dear readers of RLSLOG, the most visited release site online. We have a sad announcement today. We received letter from IFPI few days ago, which basically asked us to stop posting links in articles and comments of our Music category under the risk of starting a copyright lawsuit against us. IFPI is present in tens of countries all around the world and we generally comply with all DMCA removal requests so we decided to accept this request and stop posting links in our Music posts and also switch to comments without download links. We already had to make the same change for Movies and TV Shows earlier this year. This however doesn’t mean we will stop posting Music alltogether. As you can see with Movies or TV Shows, we still post them, just with Google link instead of link to 3rd party site which offers the release. Basically we return back to our core, being Releaselog, thus informing you about the release. The way how you find it is up to you. Thanks for understanding, your RLSLOG crew.